Investor concerns about Zambia show no sign of abating. Yields on the southern African copper producer’s 2027 Eurobonds have risen to 10 percent for the first time in almost 18 months. That’s exacerbated the pain for holders: with losses of 11 percent this year, Zambia’s dollar securities are the worst-performing in the Bloomberg Barclays Emerging Markets USD Sovereign Bond Index, which includes more than 70 countries. Investors are losing hope that President Edgar Lungu’s administration will agree on a bailout with the International Monetary Fund, which says the country is at “high risk of debt distress”. It doesn’t help that traders and lenders including Bank of America Corp. have questioned the true size of Zambia’s debt load, despite assurances from the government that it has been fully transparent about its liabilities. BofA kept a neutral recommendation on the bonds, saying an underweight position would be expensive, even as it warned that “debt worries are justified”. But the global rout in emerging-market assets that began about a month ago has made fund managers that much warier. 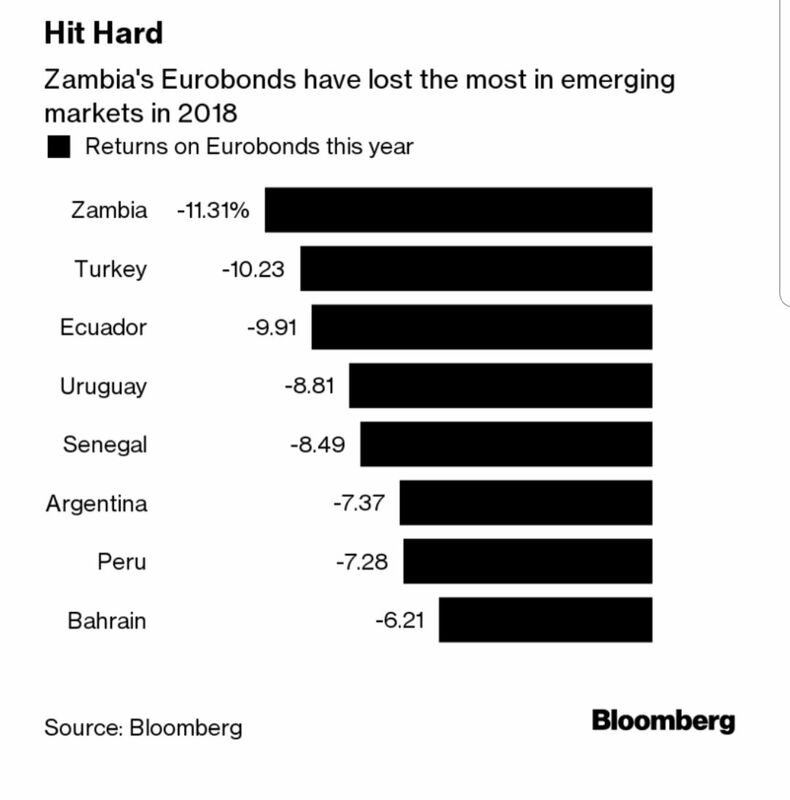 The cost of not moving ahead with an IMF deal can be seen when comparing Zambia’s Eurobonds with those of neighboring Angola. The latter’s are down just 0.3 percent this year and have the best total return in emerging markets after Belize.